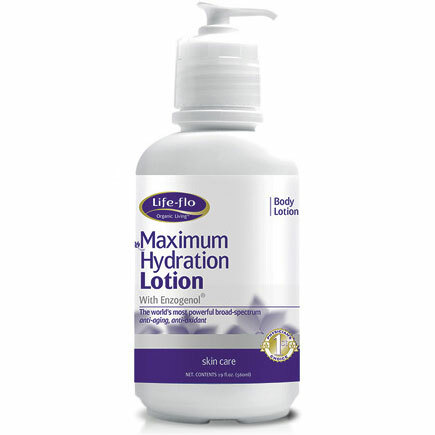 Maximum Hydration Lotion The most advanced all natural body lotion available. This heady blend of natural botanicals and herbal extracts was developed by NutraLabs’ medical research team and represents breakthrough advances in deep skin moisturizing. In addition, the synergy created by this unique formulation provides one-of-a-kind anti-aging properties that helps protect your skin from premature aging. Health Conditions Addressed by Hydration Lotion: Prematurely Aged Skin Skin Cell Rejuvenation Repairing Dry and Damaged Skin Maximum Hydration Lotion Uniqueness: Contains a Blend of Natural Botanicals and Herbal Extracts. Including enzogenol, the world’s most powerful broad spectrum anti-oxideant. This entry was posted on Tuesday, July 10th, 2007 at 12:03 am and is filed under Skin Care. You can follow any responses to this entry through the RSS 2.0 feed. You can leave a response, or trackback from your own site.